OM! AFTER HAVING bowed down to Narayana, and Nara, the foremost of men, and unto the goddess Saraswati also, must the word Jaya be uttered. "Dhritarashtra said, 'How the destruction of the Kurus has happened is well known to you. All that was brought about by my fault though the Kauravas approved of all my counsels. Fool that I was, I installed the wicked minded Duryodhana, that enhancer of the terrors of kinsmen, to rule over the Kurus. Vasudeva had said unto me, 'Let this sinful wretch of wicked understanding be killed along with all his friends and counsellors.' I did not listen to those words of grave import. All wisemen gave me the same beneficial advice. Vidura, and Bhishma, and Drona, and Kripa, said the same thing. The holy and high-souled Vyasa repeatedly said the same, as also Sanjaya and Gandhari. Overwhelmed, however, by filial affection, I could not follow that advice. Bitter repentance is now my lot for my neglect. I also repent for not having bestowed that blazing prosperity, derived from sires and grand sires, on the high-souled Pandavas possessed of every accomplishment. The eldest brother of Gada foresaw the destruction of all the kings; Janarddana, however, regarded that destruction as highly beneficial. So many Anikas of troops, belonging tome, have been destroyed. Alas, my heart is pierced with thousands of darts in consequence of all these results. Of wicked understanding as I am, now after the lapse of five and ten years, I am seeking to expiate my sins. Now at the fourth division of the day or sometimes at the eighth division, with the regularity of a vow, I eat a little food for simply conquering my thirst. Gandhari knows this. All my attendants are under the impression that I eat as usual. Through fear of Yudhishthira alone I concealed my acts, for if the eldest son of Pandu came to know of my vow, he would feel great pain. Clad in deer-skin, I lie down on the Earth, spreading a small quantity of Kusa grass, and pass the time in silent recitations. Gandhari of great fame passes her time in the observance of similar vows. Even thus do we both behave, we that have lost a century of gong none of whom even retreated from battle. I do not, however, grieve for those children of mine. They have all died in the observance of Kshatriya duties.' Having said these words, the old king then addressed Yudhishthira in particular and said, 'Blessed be thou, O son of the princess of Yadu's race. Listen now to what I say. Cherished by thee, O son, I have lived these years very happily. I have (with thy help) made large gifts and performed Sraddhas repeatedly. I have, O son, to the best of my power, achieved merit largely. This Gandhari, though destitute of sons, has lived with great fortitude, looking all the while at me. They whom inflicted great wrongs on Draupadi and robbed thee of thy affluence,--those cruel wights--have all left the world, slain in battle agreeably to the practice of their order. "Vaisampayana continued, 'Having said these words unto king Yudhishthira, the just, king Dhritarashtra, the son of Amvika, trembling the while and with hands joined together, further said unto the high-souled Sanjaya and the great car-warrior Kripa, these words, 'I wish to solicit the king through you. My mind has become cheerless, my mouth has become dry, through the weakness of age and the exertion of speaking.' Having said so, that perpetuator of Kuru's race, viz., the, righteous-souled old king, blessed with prosperity, leaned on Gandhari and suddenly looked like one deprived of life. Beholding him thus seated like one deprived of consciousness, that slayer of hostile heroes, viz., the royal son of Kunti, became penetrated by a poignant grief. "Vaisampayana continued, 'The Pandava king, conversant with every duty, using his own hand, then softly rubbed with cold water the breast and the face of the old monarch. At the touch of the king's hand which was auspicious and fragrant, and on which were jewels and medicinal herbs, Dhritarashtra regained his senses. "Vyasa said, 'O mighty-armed Yudhishthira, do without any scruple what Dhritarashtra of Kuru's race hag said. This king is old. He has, again, been made sonless. I think he will not be able to bear his grief long. The highly blessed Gandhari, possessed of great wisdom and endued with kindly speech, bears with fortitude her excessive grief owing to the logs of her song. I also tell thee (what the old king says). Do thou obey my words. Let the old king have thy permission. Let him not die an inglorious death at home. Let this king follow the path of all royal sages of old. Verily, for all royal sages, retirement into the woods comes at last.'" "Vaisampayana continued, 'Having said these words, Vyasa soothed the old king. Yudhishthira then answered him, saying, 'So be it.' The great ascetic then left the palace for proceeding to the woods. After the holy Vyasa had gone away, the royal son of Pandu softly said these words unto his old father, bending himself in humility,--What the holy Vyasa has said, what is thy own purpose, what the great bowman Kripa has said, what Vidura has expressed, and what has been asked for by Yuyutsu and Sanjaya, I shall accomplish with speed. All these are worthy of my respect, for all of them are well-wishers of our race. This, however, O king, I beg of thee by bending my head. Do thou first eat and afterwards go to thy forest retreat.'" "Vaisampayana said, 'Having received the king's permission, king Dhritarashtra of great energy then proceeded to his own palace, followed by Gandhari. With weakened strength and slow motion, that king of great intelligence walked with difficulty, like the leader, worn out with age, of an elephantine herd. He was followed by Vidura of great learning, and his charioteer Sanjaya, as also that mighty bowman Kripa, the son of Saradwata. Entering his mansion, O king, he went through the morning rites and after gratifying many foremost of Brahmanas he took some food. Gandhari conversant with every duty, as also Kunti of great intelligence, worshipped with offers of various articles by their daughters-in-law, then took some food, O Bharata. After Dhritarashtra had eaten, and Vidura also and others had done the same, the Pandavas, having finished their meals, approached and sat around the old king. Then the son of Amvika, O monarch, addressing Kunti's son who was seated near him and touching his back with his hand, said, 'Thou shouldst always, O delighter of the Kurus, act without heedlessness as regards everything connected with thy kingdom consisting of eight limbs, O foremost of rulers, and in which the claims of righteousness should ever be kept foremost. Thou art possessed, O son of Kunti, of intelligence and learning. Listen to me, O king, as I tell thee what the means are by which, O son of Pandu, the kingdom is capable of being righteously protected. Thou shouldst always, O Yudhishthira, honour those persons that are old in learning. Thou shouldst listen to what they would say, and act accordingly without any scruple. Rising at dawn, O king, worship them with due rites, and when the time comes for action, thou shouldst consult them about thy (intended) acts. When, led by the desire of knowing what would be beneficial to thee in respect of thy measures, thou honourest them; they will, O son, always declare what is for thy good, O Bharata. Thou shouldst always keep thy senses, as thou keepest thy horses. They will then prove beneficial to thee, like wealth that is not wasted. Thou shouldst employ only such ministers as have passed the tests of honesty, (i.e., as are possessed of loyalty, disinterestedness, continence, and courage), as are hereditary officers of state, possessed of pure conduct, self-restrained, clever in the discharge of business, and endued with righteous conduct. Thou shouldst always collect information through spies in diverse disguises, whose faithfulness have been tasted, who are natives of thy kingdom, and who should not be known to thy foes. Thy citadel should be properly protected with strong walls and arched gates. On every side the walls, with watch-towers on them standing close to one another, should be such as to admit of six persons walking side by side on their top. The gates should all be large and sufficiently strong. Kept in proper places those gates should be carefully guarded. Let thy purposes be accomplished through men whose families and conduct are well known. Thou shouldst always protect thy person also with care, in matters connected with thy food, O Bharata, as also in the hours of sport and eating and in matters connected with the garlands thou wearest and the beds thou liest upon. The ladies of thy household should be properly protected, looked over by aged and trusted servitors, of good behaviour, well-born, and possessed of learning, O Yudhishthira. Thou shouldst make ministers of Brahmanas possessed of learning, endued with humility, well-born, conversant with religion and wealth, and adorned with simplicity of behaviour. Thou shouldst hold consultations with them. Thou shouldst not, however, admit many persons into thy consultations. On particular occasions thou mayst consult with the whole of thy council or with a portion of it. Entering a chamber or spot that is well protected (from intruders) thou shouldst hold thy consultation. Thou mayst hold thy consultation in a forest that is divested of grass. Thou shouldst never consult at night time. Apes and birds and other animals that can imitate human beings should all be excluded from the council chamber, as also idiots and lame and palsied individuals. I think that the evils that flow from the divulgence of the counsels of kings are such that they cannot be remedied. Thou shouldst repeatedly refer, in the midst of thy counsellors, to the evils that arise from the divulgence of counsels, O chastiser of foes, and to the merits that flow from counsels properly kept. Thou shouldst, O Yudhishthira, act in such a manner as to ascertain the merits and faults of the inhabitants of thy city and the provinces. Let thy laws, O king, be always administered by trusted judges placed in charge thereof, who should also be contented and of good behaviour. Their acts should also be ascertained by thee through spies. Let thy judicial officers, O Yudhishthira, inflict punishments, according to the law, on offenders after careful ascertainment of the gravity of the offences. They that are disposed to take bribes, they that are the violators of the chastity of other people's wives, they that inflict heavy punishments, they that are utterers of false speeches, they that are revilers, they that are stained by cupidity, they that are murderers, they that are doers of rash deeds, they that are disturbers of assemblies and the sports of others, and they that bring about a confusion of castes, should, agreeably to considerations of time and place, be punished with either fines or death. In the morning thou shouldst see those that are employed in making thy disbursements. After that thou shouldst look to thy toilet and then to thy food. Thou shouldst next supervise thy forces, gladdening them on every occasion. Thy evenings should be set apart for envoys and spies. The latter end of the night should be devoted by thee to settle what acts should be done by thee in the day. Mid-nights and mid-days should be devoted to thy amusements and sports. At all times, however thou shouldst think of the means for accomplishing thy purposes. At the proper time, adorning thy person, thou shouldst sit prepared to make gifts in profusion. The turns for different acts, O son, ceaselessly revolve like wheels. Thou shouldst always exert thyself to fill thy treasuries of various kinds by lawful means. Thou shouldst avoid all unlawful means towards that end. Ascertaining through thy spies who thy foes are that are bent on finding out thy laches, thou shouldst, through trusted agents, cause them to be destroyed from a distance. Examining their conduct, thou shouldst O perpetuator of Kuru's race, appoint thy servants. Thou shouldst cause all thy acts to be accomplished through thy servitors: whether they are appointed for those acts or not. The commandant of thy forces should be of firm conduct, courageous, capable of bearing hardships, loyal, and devoted to thy good. Artisans and mechanics, O son of Pandu, dwelling in thy provinces, should always do thy acts like kine and asses. Thou shouldst always, O Yudhishthira, be careful to ascertain thy own laches as also those of thy foes. The laches also of thy own men as also of the men of thy foes should equally be ascertained. Those men of thy kingdom, that are well skilled in their respective vocations, and are devoted to thy good, should be favoured by thee with adequate means of support. A wise king, O ruler of men, should always see that the accomplishments of his accomplished subjects might be kept up. They would then be firmly devoted to thee, seeing that they did not fall away from their skill.'" "Dhritarashtra said, Thou shouldst always ascertain the Mandalas that belong to thee, to thy foes, to neutrals, and to those that are disposed equally towards thee and thy foes, O Bharata. The Mandalas also of the four kinds of foes, of these called Atatayins, and of allies, and the allies of foes, should be distinguished by thee, O crusher of foes. The ministers of state, the people of the provinces, the garrisons of forts, and the forces, O foremost one of Kuru's race, may or may not be tampered with. (Thou shouldst, therefore, behave in such a manner that these may not be tampered with by thy foes). The twelve (enumerated above), O son of Kunti, constitute the principal concerns of kings. These twelve, as also sixty, having Ministers for their foremost, should be looked after by the king. Professors conversant with the science of politics call these by the name of Mandala. Understand, O Yudhishthira, that the six incidents (of peace, war, march, halt, sowing dissensions, and conciliation) depend upon these. Growth and diminution should also be understood, as also the condition of being stationary. The attributes of the sixfold incidents, O thou of mighty arms, as resting on the two and seventy (already enumerated), should also be carefully understood. 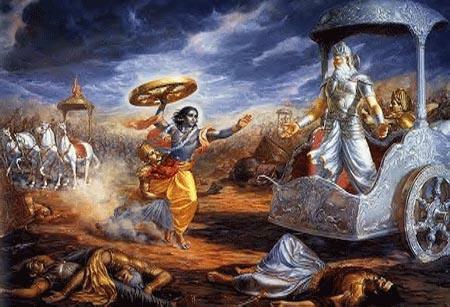 When one's own side has become strong and the side of the foe his become weak, it is then, O son of Kunti, that the king should war against the foe and strive to will victory. When the enemy is strong and one's own side is weak, then the weak king, if possessed of intelligence, should seek to make peace with the enemy. The king should collect a large store of articles (for his commissariat). When able to march out, he should on no account make a delay, O Bharata. Besides, he should on that occasion set his men to offices for which they are fit, without being moved by any other consideration. (When obliged to yield a portion of his territories) he should give his foe only such land as does not produce crops in abundance. (When obliged to give wealth), he should give gold containing much base metal. (When obliged to give a portion of his forces), he should give such men as are not noted for strength. One that is skilled in treaties should, when taking land or gold or men from the foe, take what is possessed of attributes the reverse of this. In making treaties of peace, the son of the (defeated) king, should be demanded as a hostage, O chief of the Bharatas. A contrary course of conduct would not be beneficial, O son. If a calamity comes over the king, he should, with knowledge of means-and counsels, strive to emancipate himself from it. The king, O foremost of monarchs, should maintain the cheerless and the destitute (such as the blind, the deaf and dumb, and the diseased) among his people. Himself protecting his own kingdom, the king, possessed of great might, should direct all his efforts, either one after another or simultaneously, against his foes. He should afflict and obstruct them and seek to drain their treasury. The king that desires his own growth should never injure the subordinate chieftains that are under his sway. O son of Kunti, thou shouldst never seek to war with that king who desires to conquer the whole Earth. Thou shouldst seek to gain advantages by producing, with the aid of thy ministers, dissensions among his aristocracy and subordinate chieftains. A powerful king should never seek to exterminate weak kings, for these do good to the world by cherishing the good and punishing the wicked. O foremost of kings, thou shouldst live, adopting the behaviour of the cane. If a strong king advances against a weak one, the latter should make him desist, by adopting conciliation and other modes. If unable to stop the invader in this way, then he, as also those that are disposed to do him good, should fall upon the foe for battling with him. Indeed, with his ministers and treasury and citizens, he should thus adopt force against the invader. If battling with the foe becomes hopeless, then he should fall, sacrificing his resources one after another. Casting off his life in this way, he will attain to liberation from all sorrow.'" "Dhritarashtra said, 'O best of kings, thou shouldst also reflect properly on war and peace. Each is of two kinds. The means are various, and the circumstances also, under which war or peace may be made, are various, O Yudhishthira. O thou of Kuru's race, thou shouldst, with coolness, reflect on the two (viz., thy strength and weakness) with regard to thyself. Thou shouldst not suddenly march against a foe that is possessed of contented and healthy soldiers, and that is endued with intelligence. On the other hand, thou shouldst think carefully of the means of vanquishing him. Thou shouldst march against a foe that is not provided with contented and healthy combatants. When everything is favourable, the foe may be beaten. After that, however, the victor should retire (and stay in a strong position). He should next cause the foe to be plunged into various calamities, and sow dissensions among his allies. He should afflict the foe and inspire terror in his heart, and attacking him weaken his forces. The king, conversant with the scriptures that marches against a foe, should think of the three kinds of strength, and, indeed, reflect on his own strength and of his foe. Only that king, O Bharata, who is endued with alacrity, discipline, and strength of counsels, should march against a foe. When his position is otherwise, he should avoid defensive operations. The king should provide himself with power of wealth, power of allies, power of foresters, power of paid soldiery, and power of the mechanical and trading classes, O puissant one. Among all these, power of allies and power of wealth are superior to the rest. The power of classes and that of the standing army are equal. The power of spies is regarded by the king as equal in efficacy to either of the above, on many occasions, when the time comes for applying each. Calamity, O king, as it overtakes rulers should be regarded as of many forms. Listen, O thou of Kuru's race, as to what those diverge forms are. Verily of various kinds are calamities, O son of Pandu. Thou shouldst always count them, distinguishing their forms, O king, and strive to meet them by applying the well-known ways of conciliation and the rest (without concealing them through idleness). The king should, when equipt with a good force, march (out against a foe), O scorcher of enemies. He should attend also to the considerations of time and place, while preparing to march, as also to the forces he has collected and his own merits (in other respects). That king who is attentive to his own growth and advancement should not march unless equipt with cheerful and healthy warriors. When strong, O son of Pandu, he may march in even an unfavourable season. The king should make a river having quivers for its stones, steeds and cars for its current, and standards for the trees that cover its banks, and which is miry with foot-soldiers and elephants. Even such a river should the king apply for the destruction of his foe. Agreeably to the science known to Usanas, arrays called Sakata, Padma, and Vijra, should be formed, O Bharata, for fighting the enemy. Knowing everything about the enemy's strength through spies, and examining his own strength himself the king should commence war either within his own territories or within those of his foe. The king should always gratify his army, and hurl all his strongest warriors (against the enemy). First ascertaining the state of his kingdom, he should apply conciliation or the other well-known means. By all means, O king, should the body be protected. One should do that which is highly beneficial for one both here and hereafter. The king, O monarch, by behaving duly according to these ways, attains to Heaven hereafter, after ruling his subjects righteously in this world. O foremost one of Kuru's race, it is even thus that thou shouldst always seek the good of thy subjects for attaining to both the worlds. Thou hast been instructed in all duties by Bhishma, by Krishna, and by Vidura, I should also, O best of kings, from the affection I bear thee, give thee these instructions. O giver of profuse presents in sacrifices, thou shouldst do all this duly. Thou shalt, by conducting thyself in this way, become dear to thy subjects and attain to felicity in Heaven. That king who adores the deities in a hundred horse-sacrifices, and he who rules his subjects righteously, acquire merit that is equal.'" "Vaisampayana continued, 'Having said so (to Gandhari), Dhritarashtra sent for Yudhishthira. The latter, at his uncle's command, brought all the articles necessary. Many Brahmanas residing in Kuru-jangala, and many Kshatriyas, many Vaisyas, and many Sudras also, came to Dhritarashtra's mansion, with gratified hearts. The old king, coming out of the inner apartments, beheld them all, as also his subjects assembled together. Beholding all those assembled citizens and inhabitants of the provinces, and his well-wishers also thus gathered together, and the large number of Brahmanas arrived from diverge realms, king Dhritarashtra of great intelligence, O monarch, said these words,--'Ye all and the Kurus have lived together for many long years, well-wishers of each other, and each employed in doing good to the other. What I shall now say in view of the opportunity that has come, should be accomplished by you all even as disciples accomplish the biddings of their preceptors. I have set my heart upon retiring into the woods, along with Gandhari as my companion. Vyasa has approved of this, as also the son of Kunti. Let me have your permission too. Do not hesitate in this. That goodwill, which has always existed between you and us, is not to be seen, I believe, in other realms between the rulers and the ruled. I am worn out with this load of years on my head. I am destitute of children. Ye sinless ones, I am emaciated with fasts, along with Gandhari. The kingdom having passed to Yudhishthira, I have enjoyed great happiness. 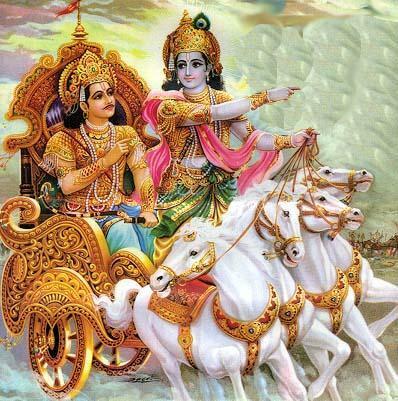 Ye foremost of men, I think that happiness has been greater than what I could expect from Duryodhana's sovereignty. What other refuge can I have, old as I am and destitute of children, save the woods? Ye highly blessed ones, it behoves you to grant me the permission I seek. Hearing these words of his, all these residents of Kurujangala, uttered loud lamentations, O best of the Bharatas, with voices choked with tears. Desirous of telling those grief-stricken people something more, Dhritarashtra of great energy, once more addressed them and said as follows.'" "Vaisampayana continued, 'Having said these words, king Yudhishthira the just, highly applauded Arjuna. Meanwhile Bhimasena began to cast angry glances at Dhananjaya. Then Yudhishthira, endued with great intelligence, once more addressed Vidura and said, 'It behoves not king Dhritarashtra to be angry with Bhimasena. This Bhima of great intelligence was greatly afflicted by cold and rain and heat and by a thousand other griefs while residing in the woods. All this is not unknown to thee. Do thou, however, instructed by me, say unto the king, O foremost one of Bharata's race, that he may take from my house whatever articles he wishes and in whatever measure also he likes. Thou shalt also tell the king that he should not allow his heart to dwell on this exhibition of pride in which Bhima, deeply afflicted, has indulged. Whatever wealth I have and whatever Arjuna has in his house, the owner thereof is king Dhritarashtra. Even this thou shouldst tell him. Let the king make gifts unto the Brahmanas. Let him spend as largely as he likes. Let him free himself from the debt he owes to his sons and well-wishers. Let him be told besides,--O Monarch, this very body of mine is at thy disposal and all the wealth I have. Know this, and let there be no doubt in this. "Vaisampayana said, 'Great was the uproar, at that time, O king, of both men and women standing on the terraces of mansions or on the Earth. Possessed of great intelligence, the old king, with joined hands, and trembling with weakness, proceeded with difficulty along the principal street which was crowded with persons of both sexes. He left the city called after the elephant by the principal gate and then repeatedly bade that crowd of people to return to their homes. Vidura had set his heart on going to the forest along with the king. The Suta Sanjaya also, the son of Gavalgani, the chief minister of Dhritarashtra, was of the same heart. King Dhritarashtra however, caused Kripa and the mighty car-warrior Yuyutsu to refrain from following him. He made them over into Yudhishthira's hands. After the citizens had ceased following the monarch, king Yudhishthira, with the ladies of his house-hold, prepared to stop, at the command of Dhritarashtra. seeing that his mother Kunti was desirous of retiring into the woods, the king said unto her, 'I shall follow the old monarch. Do thou desist.' It behoveth thee, O queen, to return to the city, accompanied by these thy daughters-in-law. This monarch proceeds to the woods, firmly resolved to practise penances. Though king Yudhishthira said these words unto her, with his eyes bathed in tears, Kunti, however, without answering him, continued to proceed, catching hold of Gandhari. 'Vaisampayana continued, 'Thus addressed by her, the righteous-souled Yudhishthira, with passions under complete control, became, with all his brothers, plunged into great distress. Endued with great intelligence, the king said not a word. Having reflected for a little while, king Yudhishthira the Just, cheerless and plunged in anxiety and sorrow, addressed his mother, saying,--'Strange, indeed, is this purpose of thine? It behoves thee not to accomplish it. I can never grant thee permission. It behoves thee to show us compassion. 'Formerly, when we were about to set out of Hastinapore for the woods, O thou of agreeable features, it was thou who, reciting to us the story of Vidula's instructions to her son, excited us to exertion. It behoves thee not to abandon us now. Having slain the kings of Earth, I have won sovereignty, guided by thy words of wisdom communicated through Vasudeva. Where now is that understanding of thine about which I had heard from Vasudeva? Dost thou wish now to fall away from those Kshatriya practices about which thou hadst instructed us? Abandoning ourselves, this kingdom, and this daughter-in-law of thine who is possessed of great fame, how wilt thou live in the inaccessible woods? Do thou relent! Kunti, with tears in her eyes, heard these words of her son, but continued to proceed on her way. Then Bhima addressed her, saying,--'When, O Kunti, sovereignty has been won, and when the time has come for thee to enjoy that sovereignty thus acquired by thy children, when the duties of royalty await discharge by thee, whence has this desire got hold of thy mind? Why then didst thou cause us to exterminate the Earth? For what reason wouldst thou leave all and wish to take up thy abode in the woods? We were born in the woods. Why then didst thou bring us from the woods while we were children? Behold, the two sons of Madri are overwhelmed with sorrow and grief. Relent, O mother, O thou of great fame, do not go into the woods now. Do thou enjoy that prosperity which acquired by might, has become Yudhishthira's today.' Firmly resolved to retire into the woods, Kunti disregarded these lamentations of her sons. Then Draupadi with a cheerless face, accompanied by Subhadra, followed her weeping mother-in-law who was journeying on from desire of going into the woods. Possessed of great wisdom and firmly resolved on retirement from the world, the blessed dame walked on, frequently looking at her weeping children. The Pandavas, with all their wives and servitors, continued to follow her. Restraining then her tears, she addressed her children in these words.'" "Kunti said, 'It is even so, O mighty-armed son of Pandu, as thou sayest. Ye kings, formerly when ye were cheerless, it was even in this way that I excited you all. Yes, seeing that your kingdom was wrested from you by a match at dice, seeing that you all fell from happiness, seeing that you were domineered over by kinsmen, I instilled courage and high thoughts into your minds. Ye foremost of men, I encouraged you in order that they that were the sons of Pandu might not be lost, in order that their fame might not be lost. You are all equal to Indra. Your prowess resembles that of the very gods. In order that you might not live, watching the faces of others, I acted in that way. I instilled courage into thy heart in order that thou who art the foremost of all righteous persons, who art equal to Vasava, might not again go into the woods and live in misery. I instilled courage into your hearts in order that this Bhima who is possessed of the strength of ten thousand elephants and whose prowess and manliness are widely known, might not sink into insignificance and ruin. I instilled courage into your hearts in order that this Vijaya, who was born after Bhimasena, and who is equal unto Vasava himself might not be cheerless. I instilled courage into your hearts in order that Nakula and Sahadeva, who are always devoted to their seniors, might not be weakened and rendered cheerless by hunger. I acted in that way in order that this lady of well-developed proportions and of large expansive eyes might not endure the wrongs inflicted on her in the public hall without being avenged. In the very sight of you all, O Bhima, Dussasana, through folly, dragged her trembling all over like a plantain plant, during the period of her functional illness, and after she had been won at dice, as if she were a slave. All this was known to me. Indeed, the race of Pandu had been subjugated (by foes). The Kurus, viz., my father-in-law and others, were cheerless when she, desirous of a protector, uttered loud lamentations like a she-osprey. When she was dragged by her fair locks by the sinful Dussasana with little intelligence, I was deprived of my senses, O king. Know, that for enhancing your energy, I instilled that courage into your hearts by reciting the words of Vidula, O my sons. I instilled courage into your hearts, O my sons, in order that the race of Pandu, represented by my children, might not be lost. The sons and grandsons of that person who brings a race to infamy never succeed in attaining to the regions of the righteous. Verily, the ancestors of the Kaurava race were in danger of losing those regions of felicity which had become theirs. As regards myself, O my sons, I, before this, enjoyed the great fruits of that sovereignty which my husband had acquired. I made large gifts. I duly drank the Soma juice in sacrifice. 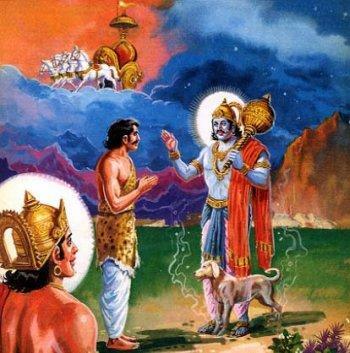 It was not for my own sake that I had urged Vasudeva with the stirring words of Vidula. It was for your sake that I had called upon you to follow that advice. O my sons, I do not desire the fruits of that sovereignty which has been won by my children. O thou of great puissance, I wish to attain, by my penances, to those regions of felicity which have been acquired by my husband. By rendering obedient service to my father-in-law and mother-in-law both of whom wish to take up their abode in the woods, and by penances, I desire, O Yudhishthira, to waste my body. Do thou cease to follow me, O foremost one of Kuru's race, along with Bhima and others. Let thy understanding be always devoted to righteousness. Let thy mind be always great.'" "Vaisampayana said, 'Hearing these words of Kunti, the sinless Pandavas, O best of kings, became ashamed. They, therefore, desisted, along with the princess of-Panchala, from following her. Beholding Kunti resolved to go into the woods, the ladies of the Pandava household uttered loud lamentations. The Pandavas then circumambulated the king and saluted him duly. They ceased to follow further, having failed to persuade Pritha to return. Then Amvika's son of great energy, viz., Dhritarashtra, addressing Gandhari and Vidura and supporting himself on them, said, 'Let the royal mother of Yudhishthira cease to go with us. What Yudhishthira has said is all very true. Abandoning this high prosperity of her sons, abandoning those high fruits that may be hers, why should she go into the inaccessible woods, leaving her children like a person of little intelligence? Living in the enjoyment of sovereignty, she is capable of practising penances and observing the high vow of gifts. Let her, therefore, listen to my words. O Gandhari, I have been much gratified with the services rendered to me by this daughter-in-law of mine. Conversant as thou art with all duties, it behoveth thee to command her return.' Thus addressed by her lord, the daughter of Suvala repeated unto Kunti all those words of the old king and added her own words of grave import. She, however, failed to cause Kunti to desist inasmuch as that chaste lady, devoted to righteousness, had firmly set her heart upon residing in the woods. The Kuru ladies, understanding how firm her resolution was regarding her retirement into the woods, and seeing that those foremost ones of Kuru's race (viz., their own lords), had ceased to follow her, set up a loud wail of lamentation. After all the sons of Pritha and all the ladies had retraced their steps, king Yudhishthira of great wisdom continued his journey to the woods. The Pandavas, exceedingly cheerless and afflicted with grief and sorrow accompanied by their wives, returned to the city, on their cars. At that time the city of Hastinapura, with its entire population of men, both old and young, and women, became cheerless and plunged into sorrow. No festivals of rejoicing were observed. 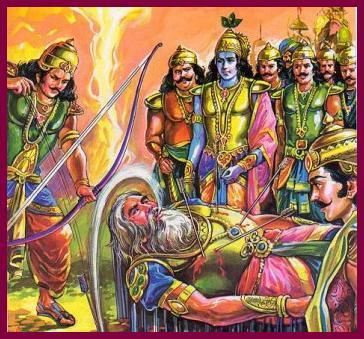 Afflicted with grief, the Pandavas were without any energy. Deserted by Kunti, they were deeply afflicted with grief, like calves destitute of their dams. Dhritarashtra reached that day a place far removed from the city. The puissant monarch arrived at last on the banks of the Bhagirathi and took rest there for the night. Brahmanas conversant with the Vedas duly ignited their sacred fires in that retreat of ascetics. Surrounded by those foremost of Brahmanas, those sacred fires blazed forth in beauty. The sacred fire of the old king was also ignited. Sitting near his own fire, he poured libations on it according to due rites, and then worshipped the thousand-rayed sun as he was on the point of setting. Then Vidura and Sanjaya made a bed for the king by spreading some blades of Kusa grass. Near the bed of that Kuru hero they made another for Gandhari. In close proximity to Gandhari, Yudhishthira's mother Kunti, observant of excellent vows, happily laid herself down. Within hearing distance of those three, slept Vidura and others. The Yajaka Brahmanas and other followers of the king laid themselves down on their respective beds. The foremost of Brahmanas that were there chanted aloud many sacred hymns. The sacrificial fires blazed forth all around. That night, therefore, seemed as delightful to them as a Brahmi night. When the night passed away, they all arose from their beds and went through their morning acts. Pouring libations then on the sacred fire, they continued their journey. Their first day's experience of the forest proved very painful to them on account of the grieving inhabitants of both the city and the provinces of the Kuru kingdom." "Vaisampayana said, 'The Pandavas alighted, at a distance, from their cars and proceeded on foot to the retreat of the king, bending themselves in humility. All the combatants also, and all the denizens of the kingdom, and the spouses of the Kuru chiefs, followed them on foot. The Pandavas then reached the sacred retreat of Dhritarashtra which abounded with herds of deer and which was adorned with plantain plants. Many ascetics of rigid vows, filled with curiosity, came there for beholding the Pandavas who had arrived at the retreat. The king, with tears in his eyes, asked them, saying,--'Where has my eldest sire, the perpetuator of Kuru's race, gone?' They answered, O monarch, telling him that he had gone to the Yamuna for his ablutions, as also for fetching flowers and waters. Proceeding quickly on foot along the path pointed out by them, the Pandavas beheld all of them from a distance. Desirous of meeting with their sire they walked with a rapid pace. Then Sahadeva ran with speed towards the spot where Pritha was. Touching the feet of his mother, he began to weep aloud. With tears gushing down her cheeks, she saw her darling child. Raising her son up and embracing him with her arms, she informed Gandhari of Sahadeva's arrival. Then seeing the king and Bhimasena and Arjuna, and Nakula, Pritha endeavoured to advance quickly towards them. She was walking in advance of the childless old couple, and was dragging them forward. The Pandavas, beholding her, fell down on the earth. The puissant and high-souled monarch, endued with great intelligence, recognising them by their voices and also by touch, comforted them one after another. Shedding tears, those high-souled princes, with due formalities, approached the old king and Gandhari, as also their own mother. Indeed, regaining their senses, and once more comforted by their mother, the Pandavas took away from the king and their aunt and mother the jars full of water which they had been carrying, forbearing them themselves. The ladies of those lions among men, and all the women of the royal household, as also all the inhabitants of the city and provinces, then beheld the old king. King Yudhishthira presented all those individuals one after another to the old king, repeating their names and races, and then himself worshipped his eldest sire with reverence. Surrounded by them all, the old monarch, with eyes bathed in tears of joy, regarded himself as once more staying in the midst of the city called after the elephant. Saluted with reverence by all his daughters-in-law headed by Krishna, king Dhritarashtra, endued with great intelligence, with Gandhari and Kunti, became filled with joy. He then reached his forest-retreat that was applauded by Siddhas and Charanas, and that then teemed with vast crowds of men all desirous of beholding him, like the firmament teeming with innumerable stars." "Yudhishthira said, 'Doth thy peace, O king, thy self-restraint, thy tranquillity of heart, grow? Is this my mother able to serve thee without fatigue and trouble? Will, O king, her residence in the woods be productive of fruits? I hope this queen, who is my eldest mother, who is emaciated with (exposure to) cold and wind and the toil of walking, and who is now devoted to the practice of severe austerities, no longer gives way, to grief for her children of mighty energy, all of whom, devoted to the duties of the Kshatriya order, have been slain on the field of battle. Does she accuse us, sinful wretches, that are responsible for their slaughter? Where is Vidura, O king? We do not see him here. I hope this Sanjaya, observant of penances, is in peace and happiness. "Vaisampayana said, 'They passed that night which was characterised by auspicious constellations even thus, O king, in that retreat of righteous ascetics. The conversation that occurred was characterised by many reflections on morality and wealth. Consisting of delightful and sweet words, it was graced with diverse citations from the Srutis. The Pandavas, O king, leaving costly beds, laid themselves down, near their mother, on the bare ground. Indeed, those heroes passed that night, having eaten the food which was the food of the high-souled king Dhritarashtra. After the night had passed away, king Yudhishthira, having gone through his morning acts, proceeded to survey that retreat in the company of his brothers. With the ladies of his household the servants, and his priest, the king roved about the retreat in all directions, as he pleased, at the command of Dhritarashtra. He beheld many sacrificial altars with sacred fires blazing on them and with many ascetics seated on them, that had performed their oblations and poured libations in honour of the deities. Those altars were overspread with fruits and roots of the forest, and with heaps of flowers. The smoke of clarified butter curled upwards from them. They were graced, besides, with many ascetics possessed of bodies that looked like the embodied Vedas and with many that belonged to the lay brotherhood. Herds of deer were grazing, or resting here and there, freed from every fear. Innumerable birds also were there, engaged in uttering their melodious notes, O king. The whole forest seemed to resound with the notes of peacocks and Datyuhas and Kokilas and the sweet songs of other warblers. Some spots echoed with the chant of Vedic hymns recited by learned Brahmanas. Some were adorned with large heaps of fruits and roots gathered from the wilderness. King Yudhishthira then gave those ascetics jars made of gold or copper which he had brought for them, and many deer-skins and blankets and sacrificial ladles made of wood, and Kamandalus and wooden platters, and pots and pans, O Bharata. Diverse kinds of vessels, made of iron, and smaller vessels and cups of various sizes, were also given away by the king, the ascetics taking them away, each as many as he liked. King Yudhishthira of righteous soul, having thus roved through the woods and beheld the diverse retreats of ascetics and made many gifts, returned to the place where his uncle was. He saw king Dhritarashtra, that lord of Earth, at his ease, with Gandhari beside him, after having finished his morning rites. The righteous-souled monarch saw also his mother, Kunti, seated not much remote from that place, like a disciple with bent head, endued with humility. He saluted the old king, proclaiming his name. 'Sit down' were the words the old king said. Receiving Dhritarashtra's permission, Yudhishthira sat himself down on a mat of Kusa grass. Then the other sons of Pandu with Bhima among them, O thou of Bharata's race, saluted the king and touched his feet and sat themselves down, receiving his permission. The old Kuru king, surrounded by them, looked exceedingly beautiful. Indeed, he blazed with a Vedic splendour like Vrihaspati in the midst of the celestials. After they had sat themselves down, many great Rishis, viz., Satayupa and others, who were denizens of Kurukshetra, came there. The illustrious and learned Vyasa, possessed of great energy, and reverenced by even the celestial Rishis, showed himself, at the head of his numerous disciples, unto Yudhishthira. The Kuru king Dhritarashtra, Kunti's son Yudhishthira of great energy, and Bhimasena and others, stood up and advancing a few steps, saluted those guests. Approaching near, Vyasa, surrounded by Satayupa and others, addressed king Dhritarashtra, saying,--'Be thou seated.' The illustrious Vyasa then took an excellent seat made of Kusa grass placed upon a black deer-skin and covered with a piece of silken cloth. They had reserved that seat for him. After Vyasa had been seated, all those foremost of regenerate persons, endued with abundant energy, sat themselves down, having received the permission of the Island-born sage." "Vaisampayana continued, 'Hearing these lamentations expressed in diverse ways, of that royal sage, the grief, O Janamejaya, of Gandhari, became fresh. The grief also of Kunti, of the daughter of Drupada, of Subhadra, and of the other members, male and female, and the daughters-in-law, of the Kuru race, became equally green. Queen Gandhari, with bandaged eyes, joining her hands, addressed her father-in-law. Deeply afflicted with grief on account of the slaughter of her sons, she said,--'O foremost of ascetics, sixteen years have passed over the head of this king grieving for the death of his sons and divested of peace of mind. Afflicted with grief on account of the slaughter of his children, this king Dhritarashtra, always breathes heavily, and never sleeps at night. O great Rishi, through the power of thy penances thou art competent to create new worlds. What need I say then about showing this king his children who are now in the other world? This Krishna, the daughter of Drupada, hath lost all her kinsmen and children. For this, she who is the dearest of my daughters-in-law grieves exceedingly. The sister of Krishna, viz., Subhadra of sweet speech, burning with the loss of her son, grieves as deeply. This lady that is respected by all, that is the wife of Bhurisravas, afflicted with grief on account of the fate that has overtaken her husband, always indulges in heart-rending lamentations. Her father-in-law was the intelligent Valhika of Kuru's race. Alas, Somadatta also was slain, along with his sire, in the great battle! Alas, a century of sons, heroes that never retreated from battle, belonging to this son of thine, this king of great intelligence and great prosperity, has been slain in battle. The hundred wives of those sons are all grieving and repeatedly enhancing the grief of both the king and myself. O great ascetic, stricken by that great slaughter, they have gathered round me. Alas, those high-souled heroes, those great car warriors, my fathers-in-law, Somadatta and others,--alas, what end has been theirs, O puissant one? Through thy grace, O holy one, that will happen in consequence of which this lord of Earth, myself, and this daughter-in-law of thine, viz., Kunti, shall all become freed from our grief. After Gandhari had said so, Kunti, whose face had become wasted through observance of many hard vows, began to think of her secret-born son endued with solar effulgence. The boon giving Rishi Vyasa, capable of both beholding and hearing what happened at a remote distance, saw that the royal mother of Arjuna was afflicted with grief. Unto her Vyasa said,--'Tell me, O blessed one, what is in thy mind. Tell me what thou wishest to say. At this, Kunti, bending her head unto her father-in-law, and overcome with bashfulness, said these words unto him, relating to the occurrences of the past.'" "Kunti said, 'O holy one, thou art my father-in-law and therefore, my deity of deities. Verily, thou art my god of gods. Hear my words of truth. An ascetic named Durvasas, who is of the regenerate order and who is full of wrath, came to my father's house for eleemosynary charity. I succeeded in gratifying him by the purity of my external behaviour and of my mind, as also by refusing to notice the many wrongs he did. I did not give way to wrath although there was much in his behaviour quite capable of exciting that passion. Served with care, the great ascetic became highly pleased with me and disposed to grant me a boon. 'Thou must accept the boon I shall give,' were his words to me. Fearing his curse, I answered him, saying,--'So be it.' The regenerate Rishi once more said unto me,--'O blessed damsel, O thou of beautiful face, thou wilt become the mother of Dharma. Those deities whom thou wilt summon will be obedient to thee.' Having said those words, the regenerate one vanished away from my sight. I became filled with wonder. The mantra, however, which the Rishi gave has dwelt in my memory at all times. One day, sitting within my chamber I beheld the sun rising. Desiring to bring the maker of day before me, I recollected the words of the Rishi. Without any consciousness of the fault I committed, I summoned the deity from mere girlishness. The deity, however, of a thousand rays, (summoned by me) came to my presence. He divided himself in twain. With one portion he was in the firmament, and with the other he stood on the Earth before me. With one he heated the worlds and with another he came to me. He told me, while I was trembling at his sight, these words,--'Do thou ask a boon of me.' Bowing unto him with my head, I asked him to leave me. He replied unto me, saying,--'I cannot bear the idea of coming to thee fruitlessly. I shall consume thee as also that Brahmana who gave thee the Mantra as a boon.' The Brahmana who had done no evil--I wished to protect from Surya's curse. I therefore, said--'Let me have a son like thee, O god.' The deity of thousand rays then penetrated me with his energy and stupefied me completely. He then said unto me,--'Thou wilt have a son,' and then went back to the firmament. I continued to live in the inner apartments and desirous of saying the honour of my sire, I cast into the waters my infant son named Karna who thus came into the world secretly. Without doubt, through the grace of that god, I once more became a virgin, O regenerate one, even as the Rishi Durvasas had said unto me. Foolish that I am, although he knew me for his mother when he grew up, I yet made no effort to acknowledge him. This burns me, O regenerate Rishi, as is well-known to thee. Whether it is sinful or not so, I have told thee truth. It behoveth thee, O holy one, to gratify the craving I feel for beholding that son of mine. O foremost of ascetics, let this king also, O sinless one, obtain the fruition today of that wish of his which he cherishes in his bosom and which has become known to thee.' Thus addressed by Kunti, Vyasa, that foremost of all persons, said unto her in reply,--'Blessed be thou; all that thou hast said unto me will happen. (As regards the birth of Karna) no fault is ascribable to thee. Thou wert restored to virginity. The deities are possessed of (Yoga) puissance. They are able to penetrate human bodies. There are deities. They beget (offspring) by thought alone. By word, by sight, by touch, and by sexual union, also, they beget children. These are the five methods. Thou belongest to the order of humanity. Thou hast no fault (in what happened). Know this. O Kunti. Let the fever of thy heart be dispelled. For those that are mighty, everything is becoming. 'For those that are mighty, everything is pure. For those that are mighty, everything is meritorious. For those that are mighty, everything is their own.'" "Vaisampayana said. 'Then those foremost of men divested of wrath and jealousy, and cleansed of every sin, met with one another, agreeably to those high and auspicious ordinances that have been laid down by regenerate Rishis. All of them were happy of hearts and looked like gods moving in Heaven. Son met with sire or mother, wives with husbands, brother with brother, and friend with friend, O king. The Pandavas, full of joy, met with the mighty bowman Karna as also with the son of Subhadra, and the children of Draupadi. With happy hearts the sons of Pandu approached Karna, O monarch, and became reconciled with him. All those warriors, O chief of Bharata's race, meeting with one another through the grace of the great ascetic, became reconciled with one another. Casting off all unfriendliness, they became established on amity and peace. It was even thus that all those foremost of men, viz., the Kauravas and other kings became united with the Kurus rid other kinsmen of theirs as also with their children. The whole of that night they passed in great happiness. Indeed, the Kshatriya warriors, in consequence of the happiness they felt, regarded that place as Heaven itself. There was no grief, no fear, no suspicion, no discontent, no reproach in that region, as those warriors, O monarch, met with one another on that night. Meeting with their sires and brothers and husbands and sons, the ladies cast off all grief and felt great raptures of delight. Having sported with one another thus for one night, those heroes and those ladies, embracing one another and taking one another's leave returned to the places they had come from. Indeed, that foremost of ascetics dismissed that concourse of warriors. Within the twinkling of an eye that large crowd disappeared in the very sight of all those (living) persons. Those high-souled persons, plunging into the sacred river Bhagirathi proceeded, with their cars and standards, to their respective abodes. Some went to the regions of the gods, some to the region of Brahman, some to the region of Varuna, and some to the region of Kuvera. Some among those kings proceeded to the region of Surya. 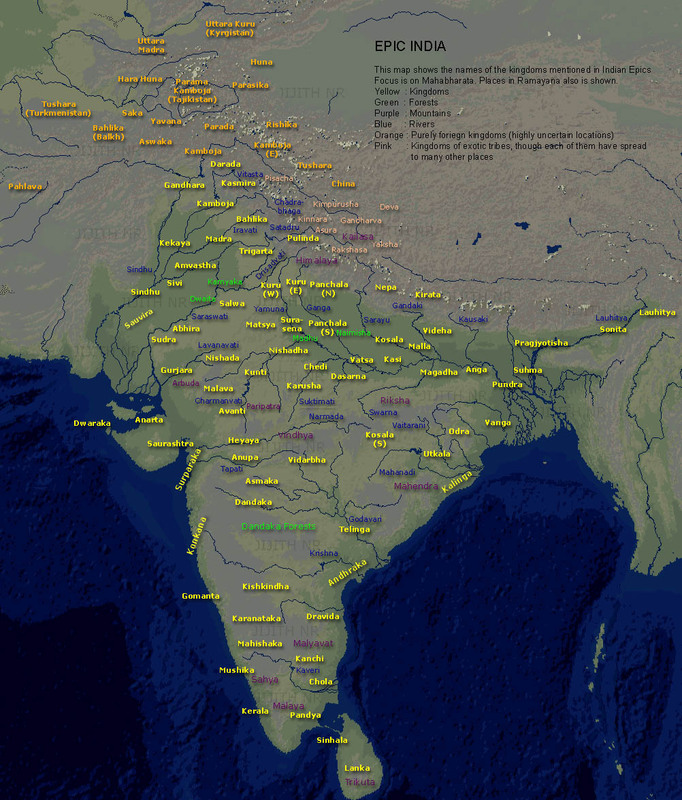 Amongst the Rakshasas and Pisachas some proceeded to the country of Uttara-Kurus. Others, moving in delightful attitudes, went in the company of the deities. Even thus did all those high-souled persons disappear with their vehicles and animals and with all their followers. After all of them had gone away, the great sage, who was standing in the waters of the sacred stream viz., Vyasa of great righteousness and energy, that benefactor of the Kurus, then addressed those Kshatriya ladies who had become widows, and said these words, 'Let those amongst these foremost of women that are desirous of attaining to the regions acquired by their husbands cast away all sloth and quickly plunge into the sacred Bhagirathi.--Hearing these words of his, those foremost ladies, placing faith in them, took the permission of their father-in-law, and then plunged into the waters of the Bhagirathi. Freed from human bodies, those chaste ladies then proceeded, O king, with their husbands to the regions acquired by the latter. Even thus, those ladies of virtuous conduct, devoted to their husbands entering, the waters of the Bhagirathi, became freed from their mortal tenements and attained to the companionship of their husbands in the regions acquired by them. Endued with celestial forms, and adorned with celestial ornaments, and wearing celestial vestments and garlands, they proceeded to those regions where their husbands had found their abodes. Possessed of excellent behaviour and many virtues, their anxieties all dispelled, they were seen to ride on excellent cars, and endued with every accomplishment they found those regions of happiness which were theirs by right. Devoted to the duties of piety, Vyasa, at that time, becoming a giver of boons, granted unto all the men there assembled the fruition of the wishes they respectively cherished. People of diverse realms, hearing of this meeting between the hallowed dead and living human beings, became highly delighted. That man who duly listens to this narrative meets with everything that is dear to him. Indeed, he obtains all agreeable objects both here and hereafter. That man of learning and science, that foremost of righteous persons, who recites this narrative for the hearing of others acquires great fame here and an auspicious end hereafter, as also a union with kinsmen and all desirable objects. Such a man has not to undergo painful labour for his sustenance, and meets with all sorts of auspicious objects in life. Even these are the rewards reaped by a person who, endued with devotion to Vedic studies and with penances, recites this narrative in the hearing of others. Those persons who possessed of good conduct, devoted to self-restraint, cleansed of all sins by the gifts they make, endued with sincerity, having tranquil souls, freed from falsehood and the desire of injuring others, adorned with faith, belief in the scriptures, and intelligence, listen to this wonderful parvan, surely attain to the highest goal hereafter." "Sauti said, 'Hearing this story of the re-appearance and departure of his forefathers, king Janamejaya of great intelligence became highly pleased. Filled with joy, he once more questioned Vaisampayana on the subject of the reappearance of dead men, saying,--"How is it possible for persons whose bodies have been destroyed to re-appear in those very forms?" Thus asked, that foremost of regenerate persons, viz., the disciple of Vyasa, that first of speakers, possessed of great energy, thus answered Janamejaya. "Vaisampayana said, 'This is certain, viz., that acts are never destroyed (without their consequences being enjoyed or endured). Bodies, O king, are born of acts; so also are features. The great primal elements are eternal (indestructible) in consequence of the union with them of the Lord of all beings. They exist with what is eternal. Accordingly, they have no destruction when the non-eternal are destroyed. Acts done without exertion are true and foremost, and bear real fruit. The soul, united however with such acts as require exertion for their accomplishment, enjoys pleasure and pain. Though united so (that is, with pleasure and pain), yet it is a certain inference that the soul is never modified by them, like the reflection of creatures in a mirror. It is never destroyed. As long as one's acts are not exhausted (by enjoyment or endurance of their fruits good and bad), so long does one regard the body to be oneself. The man, however, whose acts have been exhausted, without regarding the body to be self, takes the self to be something otherwise. Diverse existent objects (such as the primal elements and the senses, etc.) attaining to a body, become united as one. To men of knowledge who understand the difference (between the body and self), those very objects become eternal. In the Horse-sacrifice, this Sruti is heard in the matter of the slaying of the horse. Those which are the certain possessions of embodied creatures, viz., their life-breaths (and the senses, etc. ), exist eternally even when they are borne to the other world. I shall tell thee what is beneficial, if it be agreeable to thee, O king. Thou hast, while employed in thy sacrifices, heard of the paths of the deities. When preparations were made for any sacrifice of thine, the deities became beneficially inclined to thee. When indeed, the deities were thus disposed and came to thy sacrifices, they were lords in the matter of the passage (from this to the next world) of the animals slain. For this reason, the eternal ones (viz., Jivas), by adoring the deities in sacrifices, succeed in attaining to excellent goals. When the five primal elements are eternal, when the soul also is eternal, he called Purusha (viz., the soul invested with case) is equally so. When such is the case, he who beholds a creature as disposed to take diverse forms, is regarded as having an erroneous understanding. He who indulges in too much grief at separation is, I think, a foolish person. He who sees evil in separation should abandon union. By standing aloof, no unions are formed, and sorrow is cast off, for sorrow in the world is born of separation. Only he who understands the distinction between body and self, and not another, becomes freed from the erroneous conviction. He that knows the other (viz., self) attains to the highest understanding and becomes freed from error. As regards creatures. they appear from an invisible state, and once more disappear into invisibleness. I do not know him. He also does not know me. As regards myself, renunciation is not yet mine. He that is not possessed of puissance enjoys or endures the fruits of all his acts in those too dies in which he does them. If the act be a mental one, its consequences are enjoyed or endured mentally; if it be done with the body, its consequences are to be enjoyed or endured in the body.'" "Sauti continued, 'Having heard this from that foremost of regenerate ones, King Janamejaya worshipped that Rishi, repeatedly honouring him in every way. Conversant with all duties he then asked the Rishi Vaisampayana of unfading glory about the sequel, O best of ascetics, of king Dhritarashtra's residence in the woods.'" "Narada said, 'Listen, O king, with calmness to me as I tell thee what I have heard and seen in that ascetic retreat. After thy return from Kurukshetra, O delighter of the Kurus, thy sire, O king, proceeded towards Gangadwara. That intelligent monarch took with him his (sacred) fire, Gandhari and his daughter-in-law Kunti, as also Sanjaya of the Suta caste, and all the Yajakas. Possessed of wealth of penances, thy sire set himself to the practice of severe austerities. He held pebbles of stone in his mouth and had air alone for his subsistence, and abstained altogether from speech. Engaged in severe penances, he was worshipped by all the ascetics in the woods. In six months the king was reduced only to a skeleton. Gandhari subsisted on water alone, while Kunti took a little every sixth day. The sacred fire, O monarch, (belonging to the Kuru king) was duly worshipped by the sacrificing assistants that were with him, with libations of clarified butter poured on it. They did this whether the king saw the rite or not. The king had no fixed habitation. He became a wanderer through those woods. The two queens, as also Sanjaya, followed him. Sanjaya acted as the guide on even and uneven land. The faultless Pritha, O king, became the eye of Gandhari. One day, that best of kings proceeded to a spot on the margin of Ganga. He then bathed in the sacred stream and finishing his ablutions turned his face towards his retreat. The wind rose high. A fierce forest-conflagration set in. It began to burn that forest all around. When the herds of animals were being burnt all around, as also the snakes that inhabited that region, herds of wild boars began to take themselves to the nearest marshes and waters. When that forest was thus afflicted on all sides and such distress came upon all the living creatures residing there, the king, who had taken no food, was incapable of moving or exerting himself at all. Thy two mothers also, exceedingly emaciated, were unable to move. The king, seeing the conflagration approach him from all sides, addressed the Suta Sanjaya, that foremost of skilful charioteers, saying,--'Go, O Sanjaya, to such a place where the fire may not burn thee. As regards ourselves, we shall suffer our bodies to be destroyed by this fire and attain to the highest goal.' Unto him, Sanjaya, that foremost of speakers, said,--'O king, this death, brought on by a fire that is not sacred, will prove calamitous to thee. I do not, however, see any means by which thou canst escape from this conflagration. That which should next be done should be indicated by thee.' Thus addressed by Sanjaya the king once more said,--'This death cannot be calamitous to us, for we have left our home of our own accord. Water, fire, wind, and abstention from food, (as means of death), are laudable for ascetics. Do thou, therefore, leave us, O Sanjaya, without any delay. Having said these words to Sanjaya, the king concentrated his mind. Facing the east, he sat down, with Gandhari and Kunti. Beholding him in that attitude, Sanjaya walked round him. Endued with intelligence, Sanjaya said,--'Do thou concentrate thy soul, O puissant one.' The son of a Rishi, and himself possessed of great wisdom, the king acted as he was told. Restraining all the senses, he remained like a post of wood. The highly blessed Gandhari, and thy mother Pritha too, remained in the same attitude. Then thy royal sire was overtaken by the forest-conflagration. Sanjaya, his minister, succeeded in escaping from that conflagration. I saw him on the banks of Ganga in the midst of ascetics. Endued with great energy and great intelligence, he bade them farewell and then started for the mountains of Himavat. Even thus the high-souled Kuru king met with his death, and it was even thus that Gandhari and Kunti, thy two mothers, also met with death, O monarch. In course of my wanderings at will, I saw the bodies of that king and those two queens, O Bharata. Many ascetics came to that retreat, having heard of the end of king Dhritarashtra. They did not at all grieve for that end of theirs. There, O best of men, I heard all the details of how the king and the two queens, O son of Pandu, had been burnt. "Vaisampayana continued,--'Then that lord of Earth, that foremost of men, that upholder of the burthens of the Pandavas, went out, accompanied by all his brothers as well as the ladies of his household. The inhabitants of the city as also those of the provinces, impelled by their loyalty, also went out. They all proceeded towards the banks of Ganga, every one clad in only single peace of raiment. Then all those foremost of men, having plunged into the stream, placed Yuyutsu at their head, and began to offer oblations of water unto the high-souled king. And they also gave similar oblations unto Gandhari and Pritha, naming each separately and mentioning their families. Having finished those rites that cleanse the living, they came back but without entering their capital took up their residence outside of it. They also despatched a number of trusted people well conversant with the ordinances relating to the cremation of the dead, to Gangadwara where the old king had been burnt to death. The king, having rewarded those men beforehand, commanded them to accomplish those rites of cremation which the bodies of Dhritarashtra and Gandhari and Kunti still awaited. On twelfth day, the king, properly purified, duly performed the Sraddhas of his deceased relations, which were characterised by gifts in abundance. Referring to Dhritarashtra, Yudhishthira made many gifts of gold and silver, of kine and costly beds. Uttering the names of Gandhari and Pritha, the king, endued with great energy, made many excellent gifts. Every man received what thing he wished and as much of it as he wished. Beds and food, and cars and conveyances, and jewels and gems, and other wealth were given away in profusion. Indeed, the king referring to his two mothers, gave away cars and conveyances, robes and coverlets, various kinds of food, and female slaves adorned with diverse ornaments. Having thus made many kinds of gifts in profusion, that lord of Earth then entered his capital called after the elephant. Those men who had gone to the banks of Ganga at the command of the king, having disposed of (by cremation) the remains of the king and two queens, returned to the city. Having duly honoured those remains with garlands and scents of diverse kinds and disposed of them, they informed Yudhishthira of the accomplishment of their task. The great Rishi Narada, having comforted king Yudhishthira of righteous soul, went away to where he liked. Even thus did king Dhritarashtra make his exit from this world after having passed three years in the forest and ten and five years in the city. Having lost all his children in battle, he had many gifts in honour of his kinsmen, relatives, and friends, his brethren and own people. King Yudhishthira after the death of his uncle, became very cheerless. Deprived of his kinsmen and relatives, he somehow bore the burthen of sovereignty.